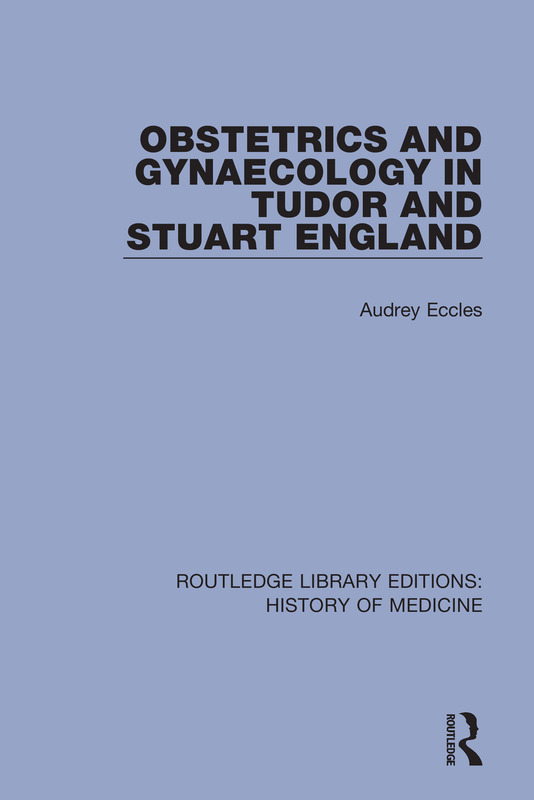 Originally published in 1982 Obstetrics and Gynaecology in Tudor and Stuart England traces the development of obstetrics and gynaecology over the past two centuries. Between the 16th and 18th century midwifery passed from a female mystery, employing traditional medicines and superstitions, to a scientifically-based clinical skill, with both gains and losses to the patient. The case-mortality was high enough to make the increasing involvement of male surgeons socially acceptable, despite sexual taboos. Thus, as scientific knowledge of anatomy and physiology developed and was applied in the form of new techniques, so the midwives, who had less opportunity and inclination to acquire the new knowledge and skills, lost esteem and by the mid-eighteenth century were increasingly relegated to the service of the poor. The book also examines ideas about sexuality, menstruation, conception, pregnancy and lactation and shows how the views of society about femaleness, marital relations and the management of pregnancy and childbearing were influenced by these notions.